Step inside to enjoy an open main level with cathedral ceilings, soaring over the family room. Head up the stairs to relax and shut your eyes or step down into a cozy living room. Remember to find your way to the basement to test your climbing skills on the in-home climbing wall. 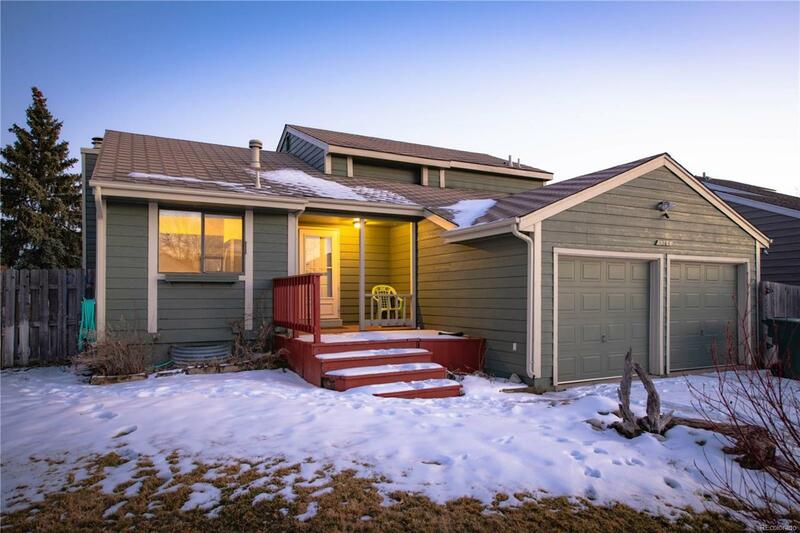 Conveniently located, this charming home is situated close to I25, Highway 85, & E470. Great for commuters and home bodies alike. The proximity to amenities leaves nothing to be desired. Catch a movie or enjoy great shopping located nearby, at the Orchard and Larkridge, or pop just down the street to grab a bite or hit the grocery store! Truly an unbeatable location. This home really does have it all!